Häagen-Dazs Goes Dairy-Free, But Should You Indulge? What Is the Difference Between a Shake & a Smoothie? Halo Top for the win! 1 Häagen-Dazs Goes Dairy-Free, But Should You Indulge? 2 Is Cheese a Superfood? This Type Might Be! 4 What Is the Difference Between a Shake & a Smoothie? What is America’s favorite ice cream? Brands like Häagen-Dazs and Ben & Jerry’s may immediately come to mind, but Halo Top, the low-calorie “guilt-free” ice cream, has officially surpassed all other brands to become the best-selling pint of ice cream in U.S. grocery stores, according to Food & Wine. It’s an ice cream revolution! Halo Top may have launched in 2012, but it has become exponentially popular because of the incredibly low calorie counts. The vanilla bean version is a paltry 240 calories — per pint! In fact, the company’s offerings are so unique because pints contain only 240 to 360 calories. That’s 60 to 90 calories per serving, whereas something like Ben & Jerry’s vanilla will land you at about 230 calories per serving. So it’s kind of a no-brainer if you’re watching your weight and need an ice cream fix. With 17 different flavors — from the conventional chocolate to fun birthday cake or decadent black cherry — Halo Tops’ variety is just as impressive as the very idea of “guilt-free” ice cream itself. But how guilt-free is it really? 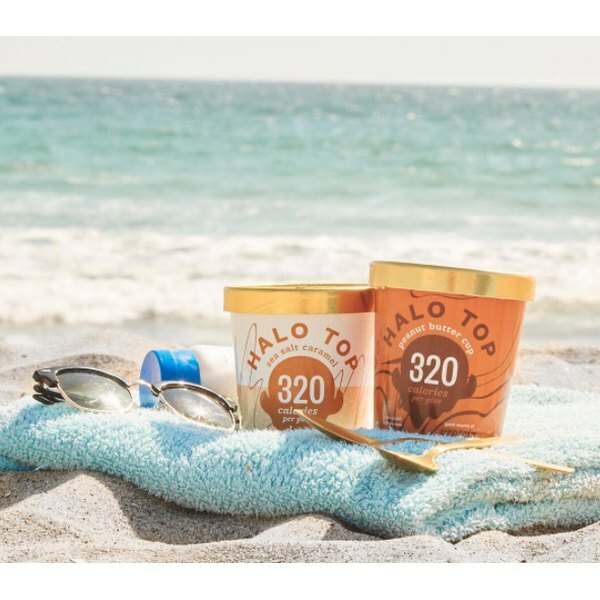 All Halo Tops pints are low in sugar and low in carbs, with some having the added bonus of being low-fat. A few flavors even have a decent amount of protein in there as well. According to Stack, Halo Top manages to actually be reasonably “healthy” (as far as ice cream goes, at least) due to the sweeteners it uses — a mixture of cane sugar, stevia, erythritol (listed as sugar alcohols on the label) — and the fact that it has tweaked its recipe to have less caloric ingredients, resulting in a lower-calorie ice cream compared to other brands. The downside? Well, unless you can’t eat sugar (in which case you should probably avoid supermarket ice creams altogether), the only real concern would be if you can’t stomach some of the ingredients. Stack explains that there have been reports of digestion issues by some consumers, which have been linked to the presence of erythritol. Also keep in mind that artificial sweeteners have proven to be problematic for weight gain and other health issues. At the end of the day, if you want to fit ice cream into a calorie-controlled diet, Halo Top might be for you. But a little bit of the “real thing” is fine too. Just practice moderation! Have you tried Halo Top? What’s your favorite flavor of Halo Top? How do you determine if a product is healthy? Let us know in the comments. How Healthy Is Trump's First Lunch as President? Is Starbucks' Strange New Drink a Holiday Miracle or Nightmare? How Much Pomegranate Juice Should One Drink a Day?